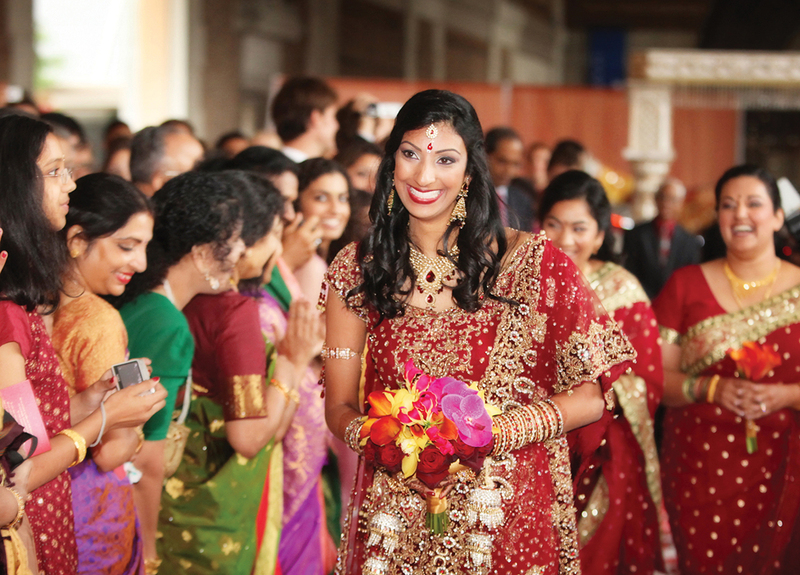 By Keriann Coffey·	 12/14/2010, 4:30 a.m.
Back Bay Residents Rishi Shukla and Anita Nathan needed a venue that could accommodate a full-blown traditional Indian wedding, not to mention 340 guests. 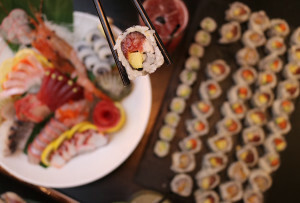 They found it at the Seaport Hotel in Boston – big enough to house the huge group, and flexible enough to allow an outside caterer to provide top-notch Indian fare. Like many Indian weddings, the Shuklas’ event was a multiday affair: The celebration kicked off Thursday night with a mehndi ceremony (in which a henna artist decorates the bride, family, and friends) and ended at 1 a.m. on Sunday in the main ballroom. “The whole Indian ceremony is like a play. 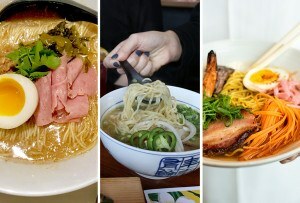 There are so many symbolic steps to watch,” says Anita, who incorporated as many customary elements as possible. Between Rishi’s grand entry to the ceremony (he rode in on a white horse) and a big party (called a sangeet) at Mantra restaurant the night before the wedding, the couple managed to bring a bit of India to Boston, and made it a weekend they’d never forget. Anita traveled to India with her in-laws to design and purchase her wedding attire. 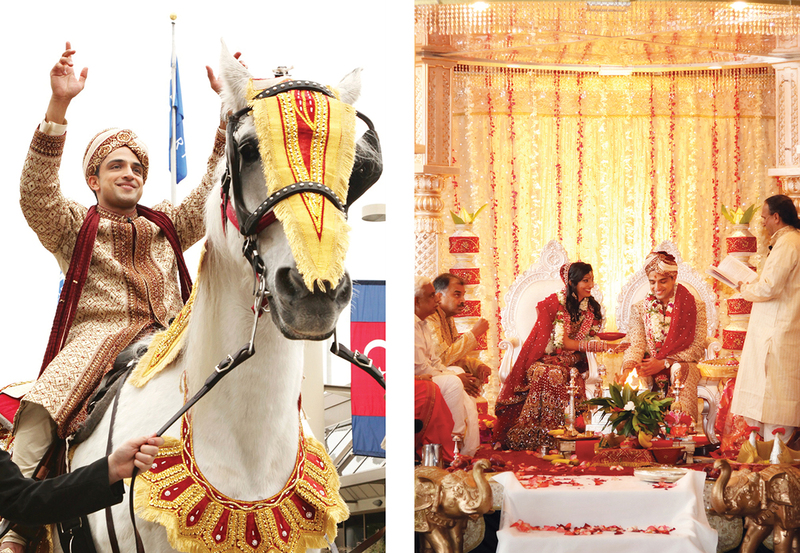 (From left) Rishi made his entrance to the ceremony on a graceful white horse. The couple, their parents, and the priest gathered on the mandap (wedding platform) for the ceremony. 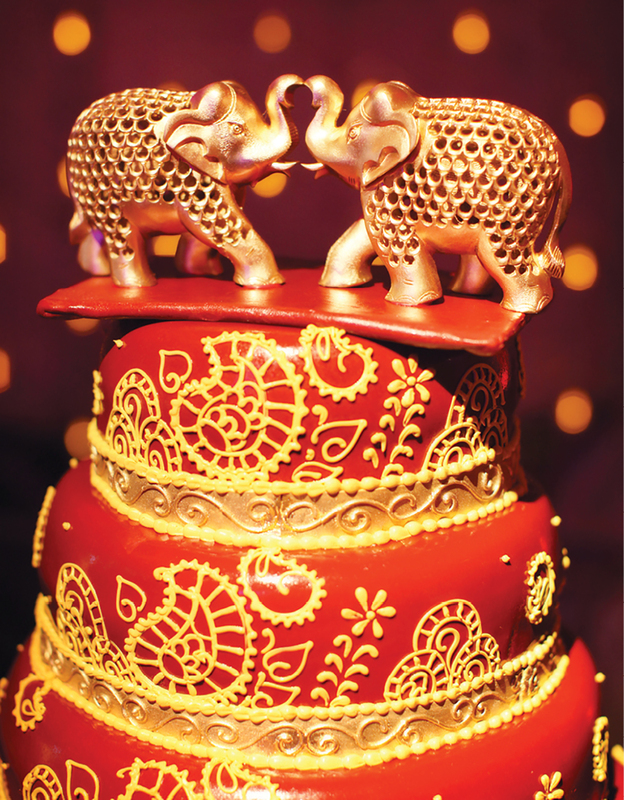 Gold elephants, a symbol of power and strength, topped the intricate wedding cake. (From left) As part of the three-day festivities, Anita’s hands were decorated with henna during the mehndi. Every detail featured brilliant color, from the bride’s bangles to the vivid bouquet. 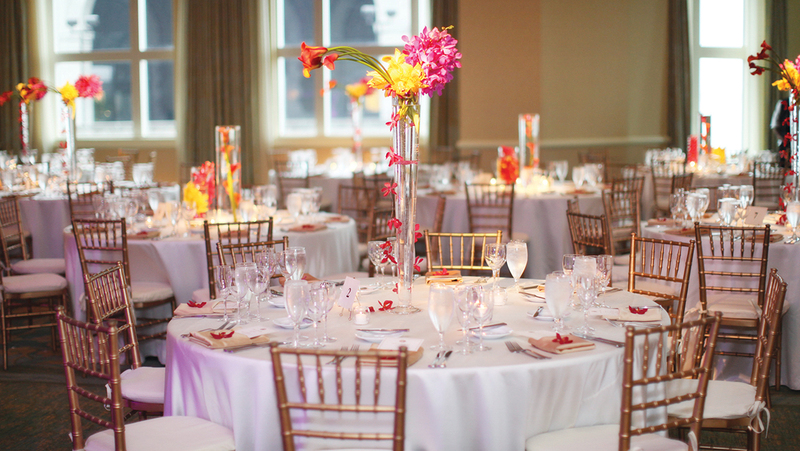 The tall, bright centerpieces matched the vibrant theme of the ceremony.